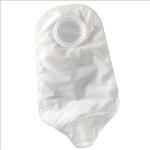 SUR-FITNatura 2-Piece Urostomy Pouch, 2.25". Transparent. Convatec. Box of 10.